Discussion in 'Hiragana Keyaki Members' started by ForrestFuller, May 11, 2016. #10 candidate. After I tweeted out during her showroom streaming, I gained a follower who must've been a big fan because all he had for days was tweets about her. Nice and crazy like. she took Techi's crown as youngest member. Mgmt put her as center in first presscon. I hope she will doing well, and become Techi's rival. Her Nogizaka46 oshi is Saito Asuka and Keyakizaka46 oshi is Hirate Yurina. She's really cute, and she does seem to be able to sing (softly), but can she dance? I wouldn't want to rush her to the centre. She's tough enough to actually go through with the Showroom broadcasts, but seems a lot "younger" than Hirate. Hirate is something special. But maybe the administration knows something about Memi-chan that I don't: there she is in the group photo front and centre, as Hirate was when the original K46 was introduced. I keep thinking Neru should be in the front line for the main group, but it would certainly be interesting to see her at centre for the Hiraganas, for a coupling song on the next CD. Actually, I would also hate to see any of the new group (even Memi) in the senbatsu for the next single. Doesn't seem fair to jump them up so quickly, before they've had the kind of training the first group got before their debut. It's bad enough that some of the original group will probably drop down to the unders to make the new senbatsu only 16 members (half the new total). Anyway, I'm very glad Memi made it. She was wonderful on Showroom, in a way very different from the others I saw. 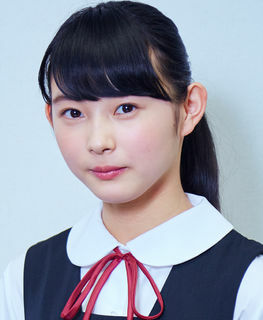 From the profile photo, I think she looks like Makiho. She also looks a little more passive. I like Neru. But, she get tons of spotlight because of her "late" drama. The rest of Hiragana girls will overshadowed by her. Put Neru as center, not fair for others, imho. They're more "late", unpolished yet, and not ready to compete with Neru. Esp, if Neru in center position. I don't mind if Neru cast as Hiragana official captain or front member of Hiragana. Memi-chan will give different flavor. And i hope mgmnt will give her chance. Good points. I was thinking of it a bit differently: that Neru being there would take pressure off them and help them along, like having an elder sister with them. Same for not putting young Memi at centre right away. But your angle is a good one, too. Neru wrote that she was the only current member to meet the new members so far. And I recall one of the candidates specifically mentioning her on Showroom. When they introduced the new group to the press, Memi-chan and the other youngest member, Kageyama Yuuka, were front and centre. At one point, with both of them looking sick from nervousness, Yuuka reached over and took Memi's hand. Check out the animated gif here. it's feel like Memi and co. already introduced decade ago. And there are zero news about Hiragana activity. How long they will keep hanging them? I hope i can see them soon. Management push Neru, i hope the rest of Hiragana girl start their activity, before their popularity gap with Neru going too far. It wont fair for them. Memi-chan stream starts right now! - She's talking about...contact ? She's wearing one ? - It seems someone asked, what kind of monster is that (the stuffed toy on chair), she replied "it's not a monster!" - Moving around and playing with her hair a lot, also it seems not completely suppin. Waring a nice clothes, white one piece dress ? edit: She said "I don't want to be called Shio Taiyou, so I'll work hard"
Memi-tan (this appears to be the nickname she likes and that the Hiraganas are using) seems to me to be a fairly amazing character. She's definitely 14, and in some ways seems even younger. But she is also strangely confident and able to talk. Maybe it's partly the Showroom format that makes things seem less scary. She just sits there contorting her lips and staring into the screen until she sees something she can respond to. From the start she's been the moe character and it seems she may be perfectly aware of this. The shirt she's wearing in the photo on her blog today (first post) has "hug me" on the collar (in English). She says she loves dolls, high-class French dolls in particular, and wants to become Keyakizaka's French doll. When someone asked if her dolls were scary, she very earnestly said no, they're cute, and seriously asked people not to be afraid of them. She says she's scattered but hard-working. She was very intent on thanking people for saying they would come to the handshake events. She may wear a yukata, since she will not get the chance to go to a festival this summer. She says the first handshake event (at Nagoya the weekend after next) will be her first public appearance and she has been working toward it. "Some people might think I'm kind of reticent. You've seen the broadcasts. But I really love attention. I look forward to talking a lot. I'm not sure if I can make people have fun, but I'll do my best. So please come. I'm really a trier. I'm not reticent, so please don't say I am." It's like this strange combination of forward and shy. She called Katou Shiho "Katoshi," since it's easy to say, but Katou gets angry at that, so she now calls her "Shihorin." Asked if she was making fun of her, she denied it vehemently. "Please don't misunderstand. I'm not S or anything like that. I like joking, but it's not bullying. I just say Shihorin for fun. It's not making fun of her. It's because I like her." She and all the other Hiraganas say the whole group gets along well. She introduced it by saying "recently I'm close friends with Katoshi," then followed it by saying "I love Shihorin." I think cute little Memi-tan may in fact be a bit S. Lol. Her August greeting card, posted 24 hours ago, includes fairly well drawn pictures of jellyfish. A little jellyfish figure is one of the mascots in her room. For more pics of all K46 members, go to the blog page. Recent posts are at the top and you can get to individual's blogs by clicking on their picture at the bottom of the page. Like you, Memi, out of all of the girls, stuck out to me. Akanen once said (when she was referring to Miyu) that she has a "small lips complex" and I think i have that too. She just looks so doll-like! But she's a powerful doll, I think. 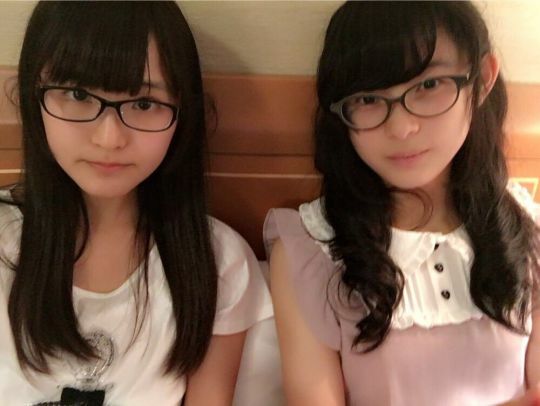 In the pic from Katou Shiho's blog that I posted over in Shihorin's thread, I note Memi-tan's solid arm and steady eye.